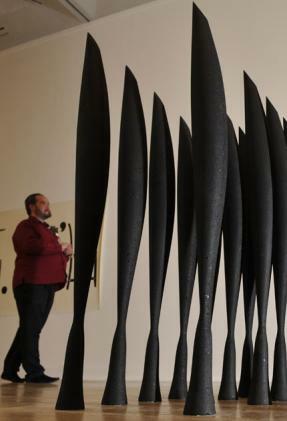 Models of Brancusi’s Bird in Space. 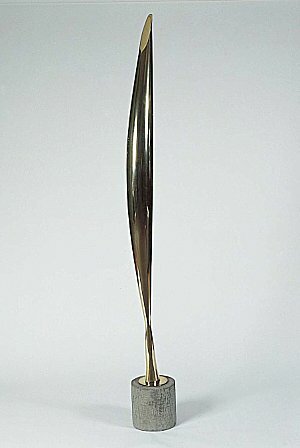 Brancusi was stopped by US customs who wondered what the sculpture was – was it an engine part, a mechanical device? 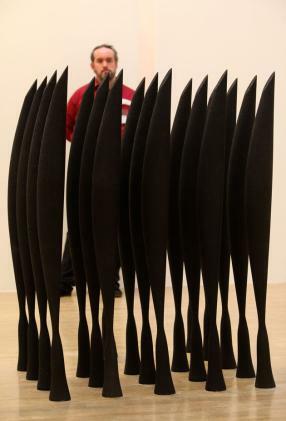 Skaer remade the sculptures with compressed coal dust. They glint in the light – like coal, diamonds also come from carbon.